Nokia has lent me a Nokia Asha 303 S40 Touch and Type phone that I’ve been using to explore the latest Nokia Browser for S40 devices. 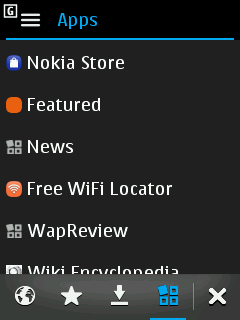 The Nokia browser is a proxy browser like Opera Mini and the UC Browser. When the user requests a page, the browser sends the request to a Nokia server which fetches the page and pre-formats the content before sending it to the browser as a compressed binary stream. Proxy browsers are especially well suited to feature phones and the slow and expensive data that is common in the developing world. Because the proxy compresses web content by up to 90% before it’s sent to the phone, pages load up to three times faster, at a tenth of cost they would with a direct browser. The proxy architecture helps even basic phones display large complex desktop pages that would otherwise overwhelm their limited resources. Nokia has created Nokia Web Tools, an easy to use free desktop SDK for creating web apps, that helps web developers to quickly get up to speed building apps for the platform. S40 web apps and the web app development tools and ecosystem deserve a post of their own which I’ll be publishing here in a week or so. When you launch the S40 browser a startup screen (image above, left) loads with a bunch of pre-configured links to popular sites like YouTube, Facebook, Twitter, Wikipedia and the Nokia Store and to a weather web app. The Start page content is localized for 20 countries today, in addition to a global version. Nokia is currently running a promotion with the five biggest mobile operators in India right now that gives purchasers of the Nokia 202 six months of free data. For some Asha purchasers, the phone may be their first opportunity to explore the web on their own. This curated set of quality mobile destinations is a great starting point for new mobile web users. However, more experienced users will probably like to be able to customize the start screen, which currently isn’t possible. Data entry is handled by a full screen edit window (above, right) which opens when you tap the URL address bar or a field on a web form. The entry form suggests words and URLs as you type, based on previous input. With pages that aren’t mobile optimized there are two zoom levels, an initial fully zoomed out page overview (above, left) where you can see the full width of the page, and a zoomed in view with readable text in columns that fit the screen width (above, right). A single tap switches between zoomed out and zoomed in. To zoom back out you tap an onscreen minus sign button (lower left in the image on the right, above). This is different from most touch screen browsers which use a double tap to toggle between zoomed in and zoomed out view, but it works well and does take fewer taps, always a good thing. The Asha 303’s capacitive touch screen is very responsive and pages scroll easily with a light touch. If you lock the key pad in number mode by pressing the function key key twice, the 2 and 8 keys act as page up and page down, which I find faster and more precise than drag scrolling. The browser’s menu structure is relatively flat and easy to navigate. Tapping an upward arrow icon at the bottom right of the screen (visible in the images above) brings up a top navigation bar and a bottom toolbar (below, left). The navigation bar has a combined URL/Search box in the middle, a stop/refresh button on the right and a menu button on the left. The menu button opens the main menu (image above, right) which lets you go to the start page, add the current page to your bookmarks and share the page on Facebook or Twitter. A Tools sub-menu has options for toggling (single) column view, viewing data usage, page information (size, title and URL), and viewing online browser help and the about page. 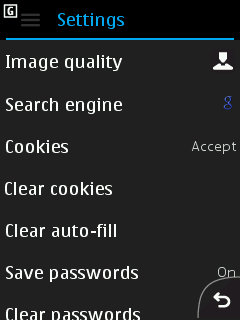 A Settings sub-menu includes image quality and preferred search engine choices (Market dependent: Google, Yahoo or Bing are listed for me in the US), whether or not to accept cookies or save passwords and options to clear cookies, auto-fill information, saved passwords or all personal data. The bottom toolbar has buttons to open bookmarks, downloads (below, left) , installed web apps (below, right) and to exit the browser. 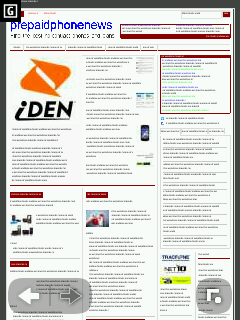 I found it browser fast and pleasant to use, most pages load quickly and rendering is usually very accurate. The browser was able to handle almost all of the sites I tried, including some like CNET that Opera Mini has trouble with. Not to say the Nokia browser is perfect, there were a few sites that didn’t work properly such as Dropbox.com where hitting the submit button on the login form just reloaded the form without logging me in. 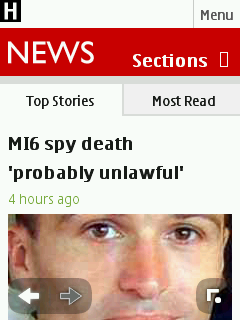 No browser, let alone a mobile proxy browser, works perfectly with every site. That’s why I have multiple browsers installed on all my phones. The latest versions of Opera Mini and the UC Browser run very well on the Asha 303 and I can log into Dropbox with Opera Mini if I need to. 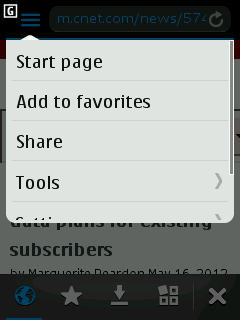 On the other hand, Opera Mini has issues with CNET, a site that works well in the Nokia browser. The Nokia proxy server seems more robust, or perhaps less overloaded, than either Opera Mini or UC Web’s, which both have a tendency to intermittently fail to load pages with an error, a blank page or in the case of Opera Mini, by reloading the current page rather than the one requested. I did not experience these types of failures with the Nokia browser. The browser scored a remarkable 241 and 2 bonus points on HTML5Test.com which is an excellent score for a proxy browser. 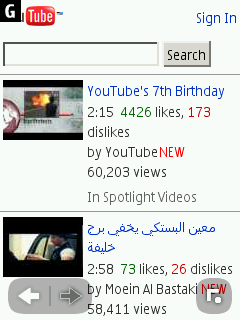 It even tops the Symbian Belle browser’s score of 164 and 7 bonus points. 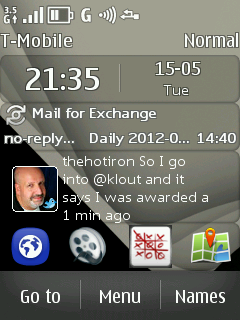 S40 isn’t usually though of as a multitasking operating system, but task switching is supported with some apps. On the Asha 303, dedicated keys let you switch to the Messaging app or use the Music player controls without closing the browser. That’s handy for sending or replying to a text in the middle of a browsing session. When you close the messaging app you are returned to the browser with the page just as you left it. Compared with the latest versions of Opera Mini and the UC browser, the Nokia browsers’s feature set is a little more limited; in particular there’s no support for multiple windows or for copying text from web pages. Text can be copied to and from the URL address bar and other text fields in the browser, but copying text from the web page itself is not supported. The table below compares the feature set of the major Java proxy browsers. Proxy Browser Page Load Speed Test. All times in seconds. The Nokia browser currently supports over 80 languages and countries. In addition to being pre-installed on recent s40 phones, it’s also available in the Nokia Store for most other S40 devices. 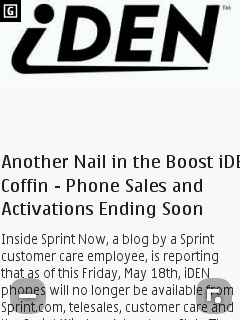 This entry was posted in Browsers and tagged Nokia, S40, server based browser by Dennis Bournique. Bookmark the permalink. My nokia browser is discontinued,re-download nokia browser download page is not work please help. 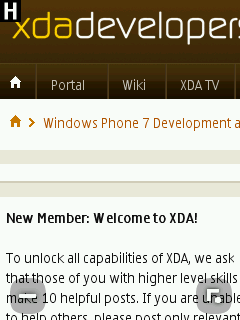 can we load local html files from nokia new browser by typing address like file://e:/123.html like this ? 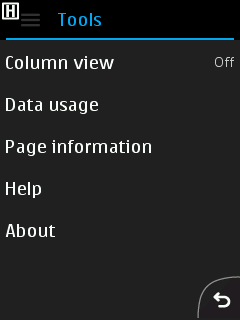 i’ve tried it but failed ..
any way to load the local html file saved in phone memory or in sd card without using native old nokia browser..
because old nokia browser doesn’t support zooming option ..
i’m not talking about the pages which are saved using mobile browser..
is it possible with opera or uc or some other broswer s/w’s ? No proxy browser can see files in the local file system because they aren’t on the web. You have to use a direct browser to open local files. Thanks for the review. I’ve got that browser installed on my C3-01.5 T&T. Contrary to the Asha 303 or the X3-02, there is no dedicated key to get to the messaging application. Is there a way to launch it from the browser? I noted the last item in the startup screen is named Email but I can’t make out what it is for. The entry is empty. What is it for? 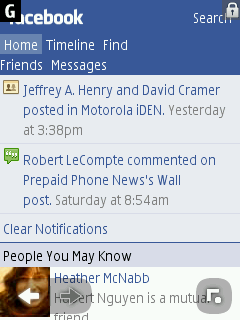 Would that be a soft way to get to the messaging application? Do you happen to know? Thanks. 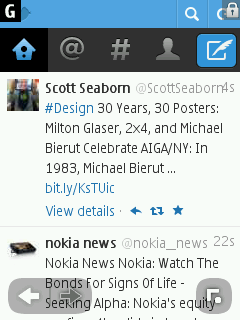 i use nokia browser 2.0 on asha 311. I search image on google, and then view the image but i can not save it. How can i save image ? And when i try to connect to http://www.livescores.com … it always ask me to download swf file. How can i fix it ? 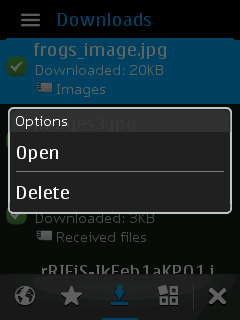 To save an image with the Nokia browser, do a long press on the image and choose “Save image” from the menu that appears. I believe that you need to have a memory card in the phone in order to save images. 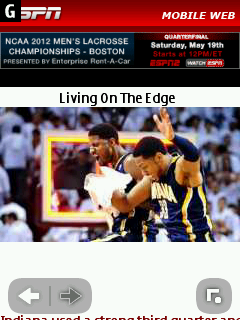 http://www.livescores.com is broken for me too in the Nokia browser. It works in Opera Mini. 3. You can download apps to your PC and copy them to the phones memory card and instal them by clicking on the downloaded file using the phone’s file manager. 1. 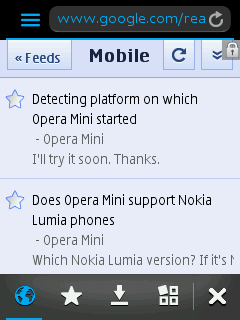 Nokia asha series phones support opera mini next 7.0.29482 & opera mobile or not ? 2. Can I install nokia browser in s60v3 phone (nokia n73) ? The Nokia S40 browser doesn’t work on S60 phones like the N73.